The main corridor at UOVO, NYC, featuring a commissioned mural by Pieter Vermeersch. Courtesy of UOVO. We reached out to UOVO’s founder, Steven Guttman, to hear his take on the art world and where it’s headed. One thing is for certain, as collections continue to grow so does the need for storage space. As an art collector himself, Guttman saw the need for an integrated approach to art storage and services in the New York market. He opened UOVO in 2014 to provide the highest level of security with bespoke storage solutions to protect any collection. The company also packages and transports art wherever it needs to go. 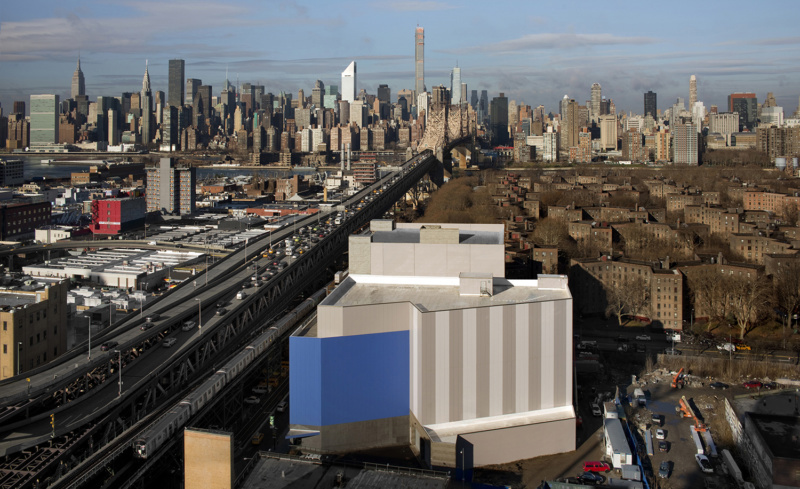 UOVO is scheduled to open their fourth New York storage facility, UOVO:BROOKLYN, next fall. The 150,000 square-foot space will provide climate-controlled storage spaces, private viewing rooms and expert art handlers for the highest level of collections care available. Curious? Go behind the scenes at UOVO with the video below. For more information about UOVO, visit uovo.art. 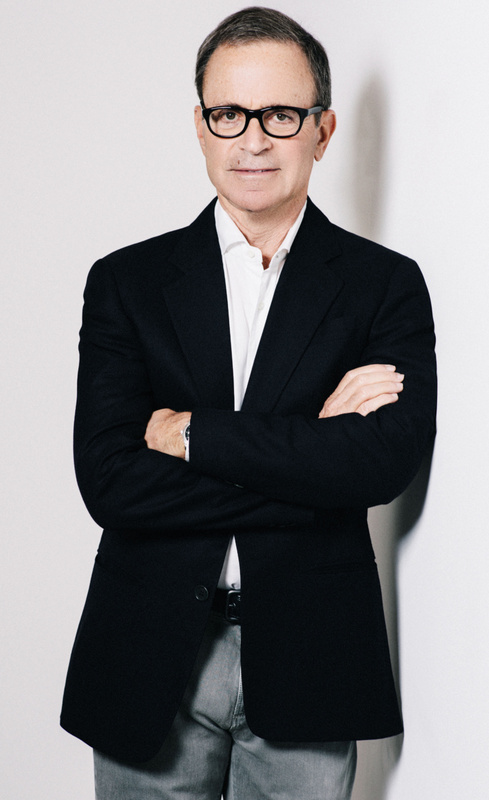 Steven Guttman, founder and chairman of UOVO. Courtesy of UOVO. How can UOVO protect your art investments? At UOVO we handle important collections that need meticulous care. While we are engaged with the art market, we frequently work with individuals and institutions guided by a passion for art. We also work with archives in need of preservation for future study. For example, many of our fashion clients store all their designs at UOVO for exactly this purpose. Whatever a collector’s motivation, it is important to care for your fine art and objects at the highest level to ensure they can be enjoyed for generations to come. If a work is damaged, it will lose historic and cultural value in addition to market value. Collections need to be protected from immediate dangers like theft, natural disasters, and poor handling, as well as from long-term damage caused by light, temperature and humidity fluctuations. That’s where UOVO comes in—our storage and services protect our clients’ legacies. Who would UOVO benefit the most? We work with the world’s leading artists, art advisors, collectors, designers, fashion houses, galleries, and museums, so there are numerous parties who benefit. Yet there are still many individuals and institutions who believe they are giving their collections the highest level of care, but unfortunately this is often not the case. I would encourage anyone who wants the best care available for their collection to call our team, actually visit the various facilities, and see how we compare. UOVO’s flagship facility, NYC. Courtesy of UOVO. Where do you see the art storage market going in the next five years? What has influenced your market to grow? My partners and I started UOVO because we felt the existing options for art storage and services did not meet our standards as collectors. We have grown to over 650,000 square feet of storage in less than four years, so clearly the market recognized a need for what we had to offer. We find that once clients experience UOVO, they don’t want to go back to the old model. In fact, our growth is almost entirely attributable to demand and referrals from our current clients. One major trend that will impact the art storage market over the next five years is related to size: contemporary art seems to be getting larger in size and scale every year. This has tremendous logistical consequences, so we are always thinking about how to accommodate monumental works. For example, we have NYC’s largest viewing room, a very rare high-cube tractor trailer, oversized docks, and ceilings as high as 30 feet. Those are just a few examples—I could go on and on. It’s that important. With your background in real estate, are there any real estate strategies you have employed when developing the four UOVO facilities? Absolutely. Having been a real estate developer for the past 40 years, I have learned that the very best buildings—defined by quality construction, superior system designs and architectural details—combined with prime locations will perform exceptionally well, regardless of use. A truly prime location is all about access, so we consider public transportation options, traffic patterns, parking, you name it. For example, our newest facility, UOVO: BROOKLYN is less than five miles from Manhattan, within walking distance from four different subway lines plus ample parking. Do you value the architecture of a project when you’re working on it or is it purely utility? How did you devise the Brooklyn space? The architecture and design is a major part of the thought process when we are working on a new building. I’m just wired that way—I’m passionate about design in all forms. But it also goes back to my real estate experience: people want to be in thoughtfully designed spaces. Like UOVO: NYC, we are designing UOVO: BROOKLYN as a community that facilitates active engagement with collections. So we are creating a welcoming atmosphere that also exceeds museum storage standards and employs state-of-the-art security. Based on your contribution to South Florida’s art scene, in what ways will Miami’s art world evolve? I love South Florida’s art scene because it never gets old. Everyone is willing to take risks—artists, collectors, fairs, museums, the city, architects who have designed some exceptional properties, you name it. And I think everyone in Miami will continue to nourish that vibrant spirit. What advice would you give to those looking to start collecting? Take your time, visit as many galleries and museums as you can and don’t worry about the market—buy what you love. And take excellent care of everything you acquire.